This is a short personal note. For anyone who might have missed these blog entries over the past months, I apologize. Starting this past spring, I have been having some health issues of my own. Dealing with these issues has taken up a lot of my time, and my energy level has been limited. I am happy to say that I am doing somewhat better, and want to start posting again. Thanks for your patience. Time to wake up. 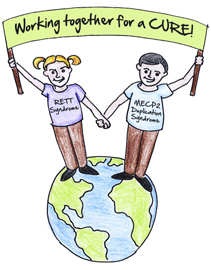 After my last post, I heard from quite a few people asking how they could find MECP2 Duplication Syndrome research articles and some wanted to more specifically know how to find articles from specific countries. PubMed is a great tool for finding this kind of information and it is available for free to everyone thanks to the the United States National Library of Medicine, National Institutes of Health. For those interested in finding research articles who are not already using PubMed or other similar tools, here is some basic information to help get you started. A good place to start is this PubMed web Page. This provides a search window and and lots of helpful hints and tutorials that can help you use this database to find the information you are looking for. If you want to become an expert or if you get stuck, you can watch some of the tutorials, but most people can find what they are looking for if they dive right in and do some searching. So here is an example. At the top of the page the search window looks like this. This is a private Facebook group that links approximately 750 individuals from families affected by MECP2 Duplication Syndrome from around the world. Some members of the group are regular Facebook users while others become Facebook members solely to access the family talk group. Group members share practical information and social support. 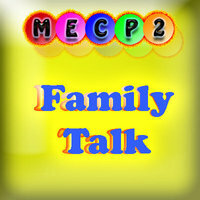 Parents, Grandparents, Siblings, and other relatives of children or adults with MECP2 Duplication Syndrome are welcome to join the group. Since family can be loosely defined, parents and guardians can choose to extend memberships to friends, caregivers, or others who they consider to be part of their families. Decisions about these “extended family members” are up to the parents or guardians of the individual with the syndrome. Researchers or professionals in health, education, or other disciplines who are working in this field may request membership. These requests will be discussed among group members via the Facebook group, and approved only if their is strong support for confirming membership. 2015 has been a year of progress. There has been spectacular progress in research, families have worked hard to support these efforts, more families have been connected through the Facebook family talk site and other similar sites, and more children and adults have been diagnosed at earlier ages… including some prenatally. Sadly, 2015 has also been a heartbreaking year. More children and adults passed away, and many others underwent major health crises. This year more than 8700 individuals accessed more than 14,000 pages on this website. These individuals came from 92 different countries. More professionals and members of the public are learning about MECP2 Duplication. For a complete annual report from this website, click on the link below. The 401 Project coordinates efforts to raise money for research on MECP2 Duplication Syndrome. They are currently seeking input on the best way to communicate with affected families. Please consider filling out this short one-question survey. Most respondents complete this survey in less than 45 seconds. Thanks. 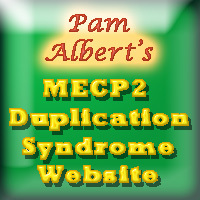 Where do visitors to the MECP2 Duplication Syndrome Blog site come from?